← TMTW #401 How Big an Emergency Fund Do You Need? If you need to file a Form 1040 (individual return), the deadline to file is October 15, 2018. This assumes you had filed for an extension prior to April 17, 2018. You also have until October 15, 2018 to fund a SEP-IRA for tax year 2017. 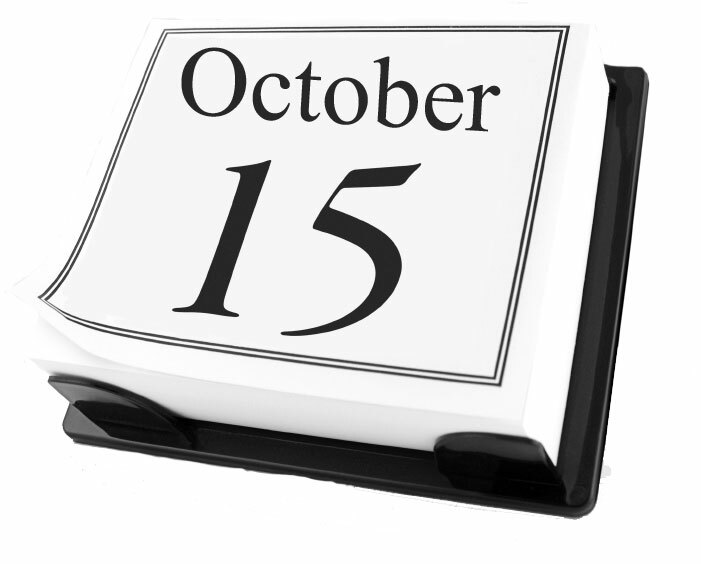 As a reminder, putting your tax returns on extension can be a good thing – but penalties to miss the extension deadline can be steep, up to 25% penalty of taxes owed, so make sure that you make the October 15th deadline. Give us a call if you need help meeting your deadline. You can add comments on the blog, call 919-847-2981, or visit our web site. We look forward to hearing from you. This entry was posted in Tax and Money Tip of the Week and tagged Extention, NC CPA, October 15 tax deadline, Raleigh CPA, Tax and Money Tip of the Week. Bookmark the permalink. TMTW #430 – Thank You Clients! Another Successful Tax Season! TMTW #428 – Do you have Unclaimed Cash with The State of NC?